History: 25 year old asymptomatic male. Frontal bedside (AKA: portable) chest radiograph, which is normal. Notice the cardiac silhouette may be misinterpreted as mildly enlarged in AP projection. There are many pitfalls to the portable chest radiograph. The difference is in where the x-ray beam is being shot from and where the film is placed. In a normal PA radiograph, the x-ray beam is coming from behind the patient and the heart is closest to the film. In this manner, there is minimal magnification of the heart. 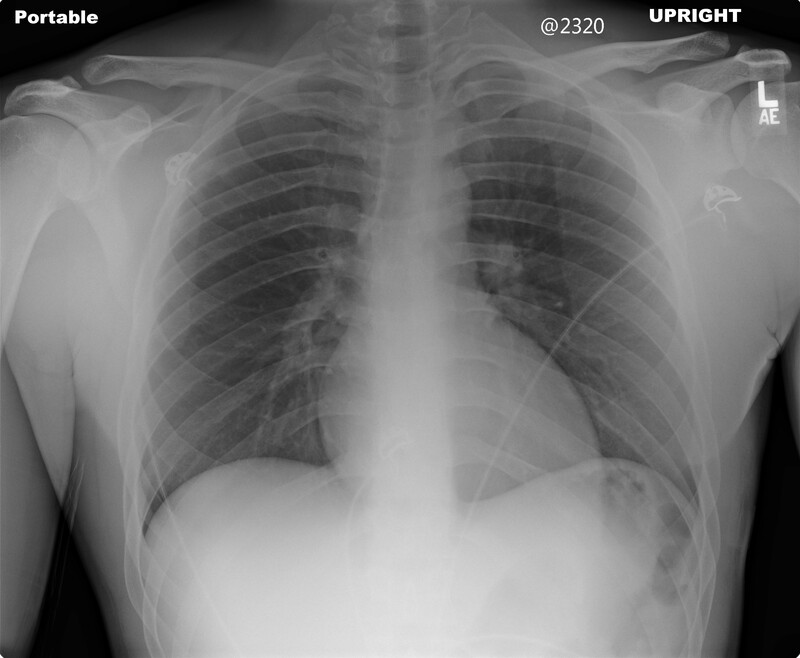 However, during a portable chest radiograph, the beam is shot from the front of the patient, and the heart is relatively further from the film, with greater magnification. Therefore, on a AP (portable) chest radiograph, the heart can falsely appear to be enlarged. A good resource for this phenomenon is found here. 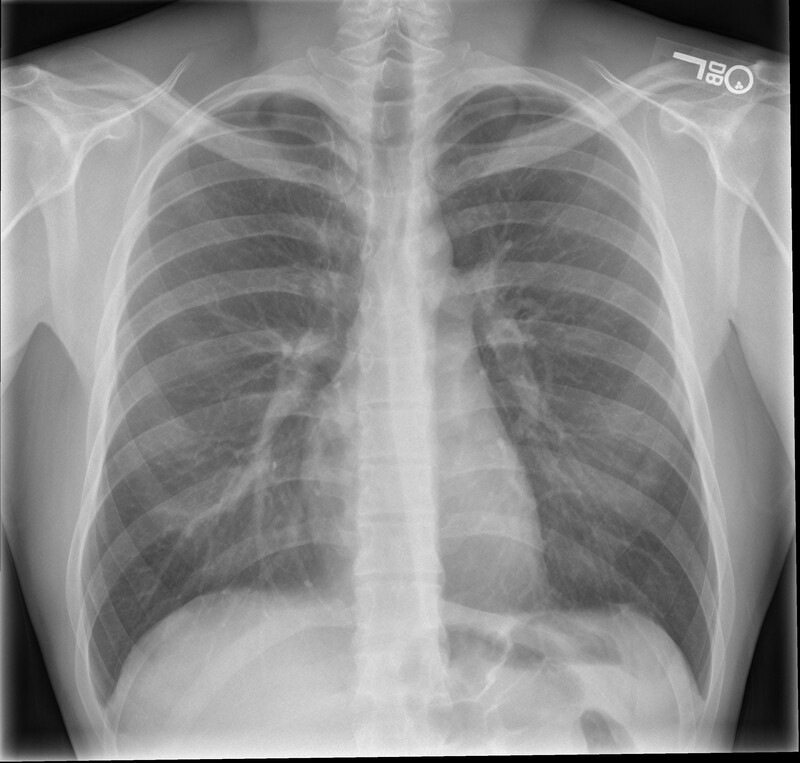 Frontal (PA) radiograph of the chest for comparison. Notice the cardiac silhouette appears smaller compared to the first image.